Questioning whether to repair or replace your fence? Many homeowners start out by weighing the costs. Repainting or repairing a fence is cheaper and easier than an all-out replacement—at least in the short term. Sometimes, replacing your fence is the better choice. Maybe your fence has worn out its welcome and will continue to need extensive repairs, or maybe you’d like to update the style or placement of your fence. In this article, we’ll discuss tips for evaluating your fence’s true condition. You can then make an educated decision whether to repair your own fence, hire a professional to repair your fence, or choose a replacement fence. Some fence problems can be fixed with simple repairs. Let’s review common issues with wood, vinyl, and aluminum fences that aren’t signs you need to replace your fence. As a natural material, wood can be a little more damage-prone than synthetic materials. The elements can take their toll, and insects, moisture, and other environmental factors may affect your wood fence. Signs your fence need repair include discoloration, warping, or splintering. If you notice these things, you should carefully inspect your fence to determine the cause of damage and if you can mitigate it with a solution like redirecting pooling water or exterminating wood destroying insects. To repair your wood fence, you can patch small holes and cracks with wood filler or putty. For warping or more severe damage, it’s best to replace the affected boards or rails. The downside of both of these repairs is that they will be visible, at least for a while. Wood filler can be concealed if you paint your fence but will otherwise show forever. A new board will likely look different in color but may weather in time to a similar patina as your old fence. If your fence will be painted after repair, neither of these options have drawbacks! Aluminum fences are very durable, but parts may need occasional replacement or attention. Like with vinyl, an accident may damage your aluminum fence. Shifting soil can eventually loosen fence posts as well. A loose post due to soil erosion can be steadied with some backfill of either soil or gravel. To repair damage to an aluminum fence, you may need to replace a section or an individual rail. Some aluminum fence repairs require the skill of a welder. To steady a loose rail, a t-brace can make the area stronger and more functional. Be mindful of the color of the replacement part being used if you don’t plan to paint your fence after repair. If you find any of these repair options to be too daunting, you can always opt for a replacement. There are times when replacing a fence makes more sense because amounts of the time, money, and effort required to repair it are too great. If your fence needs a major overhaul, here’s a good rule of thumb: if you have to replace more than 20% of the fence panels or pickets, it’s time to replace the entire fence. Keep in mind that replacing fence posts is also more difficult and expensive than replacing pickets or panels because the posts need to be dug out of the ground, and often, they’re mounted in cement. If you have several fence posts in need of replacement, consider an entire fence overhaul. If your fence is very old, it may have simply worn out its lifespan, and replacement parts may no longer be available from the manufacturer. With proper maintenance, your fence should be expected to last anywhere between 20 to 50 years, depending on the material. If your fence is older than you are, it’s probably time for a new one! Damage isn’t the only reason to replace your fence. If your fence doesn’t provide enough privacy, isn’t high enough to stop your dog from escaping, or otherwise falls short of a necessary function, it’s time for a new one! Wanting to change the style of your fence is also a perfectly valid reason to get another. While replacing a fence is costlier than repairing or repainting, it’s sometimes worth it to get the fence you really want. Maintain your fence so you don’t need to replace it! You should always stick to the recommended maintenance for your fence to make sure it lasts as long as possible. For wood fences, this often includes staining and sealing annually or every other year. Vinyl fences may only need to be washed off with a hose. Maintaining your fence may also mean making careful choices about landscaping (growing vines on a fence may harm it) and checking your fence for damage regularly. By making small repairs when needed, you can extend the life of your fence so you don’t need to replace it. Need a replacement fence in West Los Angeles or Santa Monica area? Harwell Fencing & Gates has you covered with a full inventory of wood fences and a team of installation experts. If it’s time for a change, stop by our location at 5555 West Washington Blvd, Los Angeles Ca 90016 or contact us today about your replacement fence! We get asked this question all the time. So, we figured this would be a great place to answer it! Fences come in many different heights, and for good reason: different sized fences serve different purposes. Depending on your needs, wants, and can-dos, you may choose a short 3 foot picket fence or an 8 foot fortress of privacy. The placement of your fence, such as your front yard or backyard, can affect the height of your ideal fence. Unfortunately, local regulations may dictate height for you and limit your options. That’s often the first concern for homeowners, but it’s not the only reason to think about height. Here are some considerations when deciding on the perfect fence height for your yard. Want to make your house feel like a home? Contact Harwell Fencing & Gates Inc. for a free quote. We install fences in and around West Los Angeles and Culver City. If you are outside these areas we can set up a paid design consultation and can service that particular area. Fence regulations are typically governed by local law or a homeowners’ association. In many areas, six feet is the maximum height for a backyard fence, while a 42” fence may be used in front of your home. One reason front yard fences are smaller is because taller fences can block the sightlines of cars, creating blind corners at intersections and putting children and pets in danger. Depending on your location, you may be able to build an open fence (such as an aluminum fence) higher because it allows for visibility. Why Should I Stain Or Paint My Fence? So you got a new fence, and now you have a few questions. “Won’t my fence age over time?” “Do I have to seal it somehow?” There are three basic options for “finishing” a fence: painting, staining, or leaving it natural. There are benefits and drawbacks to each option. And Wee can help you decide which route is the best for you! Painting fences was more popular before there were so many options for stains. We would least recommend painting, because it does require a lot of maintenance. If you do decide to go ahead and paint your fence, you can expect to have to repaint it every 1-3 years, as paint does tend to crack and peel. Also keep in mind that once you do need to repaint, you will need to scrape off all of the existing paint, prep the surface for new paint, and then finally repaint. It is a lot of work and a lot of time, and over time the painting and repainting will end up costing you more. Stain wins over paint most of the time, and that’s because it requires much less maintenance than paint. It may be a higher cost initially, but you will not need to re-stain over and over again. Eventually the stain will fade and need to be redone, but not nearly as frequently as paint. Stain does not peel or crack, so it requires way less preparation than repainting. A good power wash or washing with a deck cleaner will give you a clean slate to work with before re-staining, without all the scraping and peeling. There are a lot of options when it comes to staining your fence. One option is a solid stain, which, as mentioned above, will give you that traditional “white picket” look without all the maintenance of paint. Or, if you really love the look of natural wood and just want to protect your fence, there are plenty of semi-transparent options to choose from, too. There are even clear options that simply serve to waterproof and protect your fence. The third option for finishing a fence is simply leaving it natural and allowing it to weather over time. This option, of course, requires the least amount of effort, but it does leave room for the elements to take a toll on your fence over time. However, the rustic, weathered look is popular these days, and quality wood will last a while even if it is left to the elements. Simply power washing or pressure washing your natural fence can bring it back to life, too, if you choose not to paint or stain but would like to try and keep the “new” look. Definitely be sure to consider the time, cost, and which option best complements the style of your home and property. Here at Harwell Fencing & Gates Inc, we are finish work experts and keep your fence looking new for years! Give us a call to schedule a free consultation or fill out an online form and we will reach out to you for scheduling. How To Determine The Cost Of A New Fence? If you’re looking for a way to make your backyard paradise a little more secluded, a privacy fence is a perfect addition for your home. Privacy fencing is great because they add security, block prying eyes, and lets your furry friends run around leash-free in the yard. Building a privacy fence can give you peace of mind, especially if you have young children or pets, but they do require an investment from the homeowner. Whether you are choosing to install a privacy fence on your own or go with a professional fence company, (cough cough) there are a few factors you have to take into consideration when estimating fence costs. Before purchasing any materials, you should make sure your fence will meet your local requirements and that you have permission to install it. First, you will need to know where your property lines are. If you have any doubts, have a survey done. You should also check your local zoning laws before seriously investing time and money into fence installation. Depending on where you live, there might be height limitations and boundary requirements for fences. For example most areas in Los Angeles have a front yard height limit of 42”. So before you build your 6ft privacy fence in the front yard, double check! After verifying your local zoning laws, it’s not a bad idea to check with your local Homeowner’s Association (HOA) too. They might have strict guidelines about the types of fences, including materials and colors, you can build on your property. It’s always better to make sure sooner rather than later that your fence meets requirements and that you have permission to build it. Harwell Fencing and Gates Inc. has been installing fences in Los Angeles and Santa Monica for over two decades, so we know a thing or two about fence laws and requirements. Most homes have an existing fence to determine the property line, however if you don’t have a fence around your property already, you’ll have to mark the utility lines before getting started. Marking off your utilities sounds like a no-brainer, but sometimes this step gets overlooked. Not marking off your utility lines could lead to a nasty surprise like accidentally hitting pipes or wires underground while installing your fence—Oops! You don’t want your fence directly on top of utility lines either. If the city has to do repair work, your brand new fence might be torn out of the ground, and you’ll have to start all over again. Before digging, call 811 to get in touch with your local utility companies. Now that you have the area measured, you’re ready to select your materials! Typically, fences are about six feet in height and come in pre-built panels. Wood Fencing is our most popular choice for homeowners. Wood Fencing comes in several different styles depending on your preference. For those who enjoy home decor, wooden fences are easy to customize with stain or paint to make them all your own, but you will need to reapply stain and paint annually. (Which we include in our finishing package). Choose the material that suits your needs, but remember that going with the cheapest option might not be the best idea in the long run. A less expensive wood often means it’s of a lower quality and will have to be replaced sooner. The same goes with other material options, the phrase you get what you pay for is extremely applicable when it comes to picking out your fence materials. Building a new fence is an investment, and it’s wise to consider possible upkeep in the future as well as the initial price of installation. Installing your own fence is where DIYers can save the most money. Just remember Rome wasn’t built in a day, and your fence won’t be either. If you want to get the most out of building your own fence, do your research, grab a buddy, and take your time. If you want to install a privacy fence right away with no hassle, consider contacting a professional fencing company. While the cost of labor will be higher than doing it on your own, the fence will be installed faster, and you’ll avoid getting frustrated over a DIY job gone wrong. Want To Install A New Fence? If you’re ready to install a privacy fence around your property, let us know! Reach out to us by sending us an email to Info@harwelldesign.com or Call us at (310) 601-6616. The easiest way to reach us is by filling out a Free Online Form. We are here to help so contact us anytime! Have You Seen Our Social Media? Harwell Design has more than just a website! We have Instagram, Facebook, Linkedin, Yelp and more! Visit and follow us on all our social media platforms to get all the latest news and design updates. We are always updating our pages to include our latest blog posts, projects and inspirational ideas and designs. Don’t forget to review and rate us on our review sites , such as Yelp and Google Business. We will leave links to all our social platforms so you can stay connected with the best of fencing and gates in Los Angeles! What Is The Best Way To Prevent Termites When Having a Fence Built? Pressure Treated Lumber is the best-priced option. This material is fabricated for exterior use. Chemicals are soaked in the wood to keep termites and moisture out. The raw materials are made to resist moisture and insects with out any sealant. We apply two coats of stain/sealant to all of our materials which adds a lot more life to the pressure treated lumber. If you are currently dealing with an infestation and it is not too far along, it may be possible to salvage the material and refinish the wood. Redwood also provides protection against insects. Some Redwood is better protection than others. BEST Protection : Conheart Redwood has natural oils that keeps insects away. This type of lumber is the center portion of the redwood tree and will add cost to your budget. Just like anything, you get what you pay for. Spend more in the beginning and you get a longer lasting product. MEDIUM Protection: Our most common wood for a beautiful finish. Clear Redwood is the selected portion of the tree that does not have knots in it. This wood is dry and the best type of wood for a slick finishes on our Designer Fence and HD fencing categories. MEDIUM Protection: Common Redwood (used in our Mid-Range Fence category - just to let you know, Clear Redwood is also common redwood, just dried out and selected lumber without knots) These are the standard 1 x 6 fence boards providing a much rougher finish. These boards are also contain moisture and will shrink after installation. Adding a motor to a driveway gate is a nice add-on to make a gate much more appealing and easy to us. Last thing you want is to get in and out of your car each time you need to open and close your gate. This feature eliminates this time consuming hassle of getting in and out of your car and keeps you focused on more important things, like being on time to where ever you are going. Technology has improved greatly with automatic motors. Now with cell phone technology you can simply drive up and your motor will detect your cell phone and open the gate automatically without any buttons. We highly recommend automatic motors, especially if you are an apartment complex or business with heavy traffic that needs to keep specific areas secure. For a free estimate on an automatic driveway gate motor click the button below! Clients ask us all the time, “What is the best type of wood to use for my fence?” So we thought we would take the time and write a blog post about it to help answer the all important question about wood. Obviously when buying a fence you want your fence to look nice, so ascetics is important. However almost as important, if not more important is how long will the wood last? No one wants to pay top dollar for a fence that falls apart after a few years. Before we get into the different woods we use and suggest we want to make this disclaimer. The longevity of a fence depends on the type of wood but also the owner and how well they take care of the fence. That said, let’s dig into the top two wood choices. Yes, I know there are more than two different types of wood. However, we want to focus on these two we recommend most in Southern California. Redwood is arguably the most extensively used type of wood for wood fencing and even though it comes at a high cost, redwood’s quality, durability, and aesthetic value make it among the best options. Although redwood is resistant to insects and rot, it still should be treated with a stain, preferably clear stain, to preserve its natural beauty, prevent it from turning grayish in color due to aging, and boost its resistance to insects and rot. Constant moisture, freezing, thawing, and dry conditions can damage redwood, so make sure you are aware of surroundings such as sprinkler systems. Cedar is an excellent choice of wood for fencing since it contains natural oils which are a deterrent to insects. Cedar wood is a middle-of-the-road option that might better fit a limited budget, and is also rot-resistant, giving it a longer lifespan compared to other types of wood. Treating cedar with a finish such as paint and wood stain prevents it from turning gray, like redwood. Although some people recommend painting cedar with acrylic to protect it from the elements, you won’t have to worry too much about that being that Southern California has very little temperature fluctuations. It’s 2019! And with a new year comes new fencing! or at least a new looking fence. So many clients assume they need a new fence because the fence appears to be worn and aged. However the truth is many times all the fence really needs is just to be refinished. In the end this could safe you thousands of dollars! When refinishing a fence or gate we sand down down the wood until the raw wood is exposed. This takes off the layer of dead or aged wood and gives the board a clear fresh look. After we take off the old stain and 1st layer of wood we apply a new fresh stain to give it a clean look and to protect it from future sun damage. Refinishing the wood gives your fence new life. It extends the life of your fence and make it look brand new again! If you are interested in refinishing your fence, gate or deck give us a call today! We are so excited to announce we are now entering the world of commercial fencing! For the past 8 years we have helped local residents build and design fencing and gates for their homes. It is with great pleasure that we are opening our doors not just to home owners but now to business owners. We have enjoyed building residential homes and we will continue to build custom and standard fencing and gates all around Los Angeles. But scaling up to larger project with businesses and government project will be an additional focus to our team. 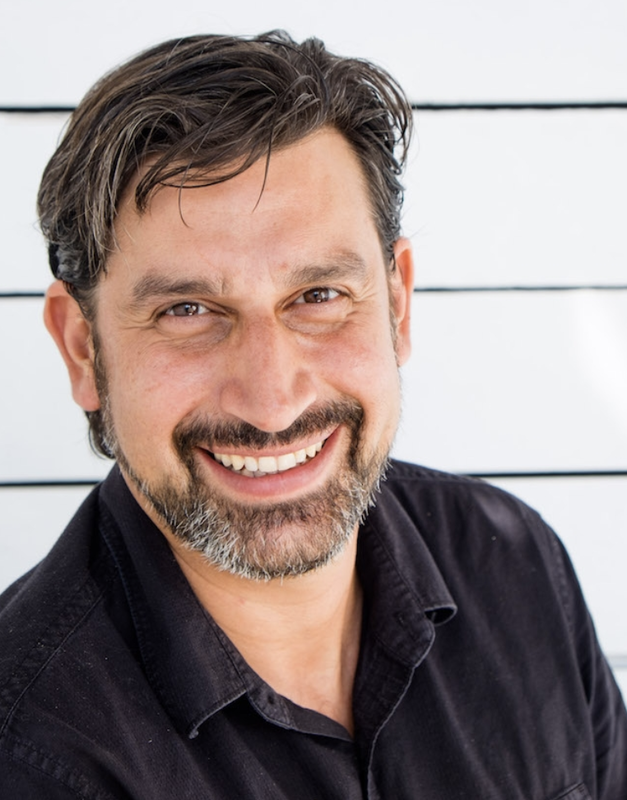 With our owner and lead designer, Arian Harwell, at the steering wheel, Harwell Design has had the opportunity to invest time in the commercial industry of fencing and gates. If you own a business and need professional help with designing and building custom fencing and gates we can help you! Give us a call and schedule a free on-site walk through, or purchase a design consultation with our lead design Arian Harwell. Click Here for a Free Estimate on your next commercial project! Many people call us and are unsure about if they need a new fence or simply repair their existing one. Enjoy! 1. Do You Need More Privacy. 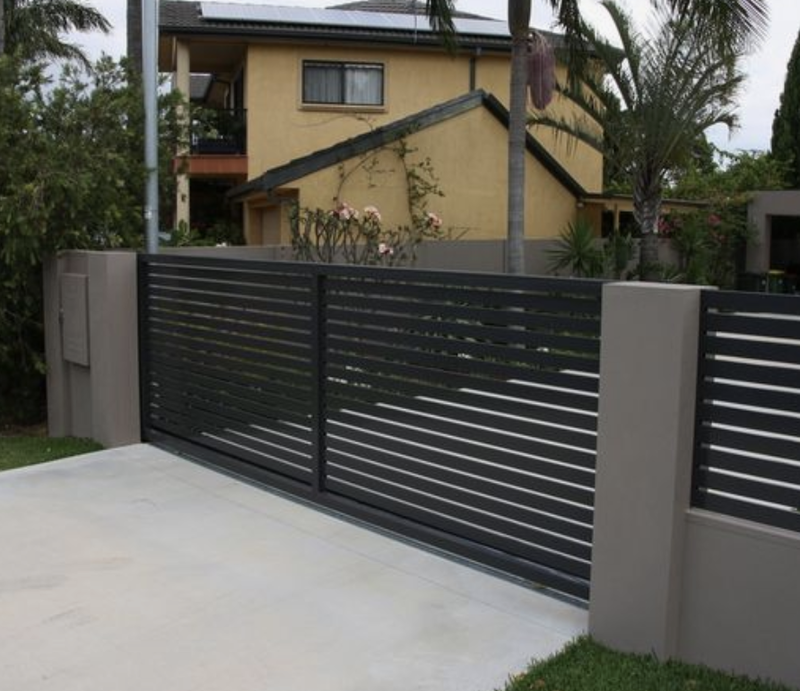 If you are look to add to your fence for privacy reasons then yes, there is no way around this one without bitting the bullet and purchasing a new fence. Remember to look at height restrictions in your local are to avoid any mid-construction hick-ups. 2. Is Your Fence is Leaning. If your fence is leaning that is one thing, but make note if the posts are leaning. If the posts are straight then you might be in the clear and only need to replace the boards. This could save you a good chuck of change. 3. Is Your Fence Losing It’s Color? If your fence is chipping or losing it’s once vibrant color it may not necessarily need to be replaced. This may just require a refinish. Simply sand and apply a new coat of stain and it will look as good as new. 4. Did Something Fall and Damage Your Fence? Depending on the damage you may or may not need a new fence. More times than not only a section of the fence actually needs to be replaced. We hope this helped you! If you have more questions about your fence or gate give us a call. (310) 601-6616. We are offering for a limited time a special 5% off all projects for new clients. This discount only applies for clients who have yet to schedule an onsite appointment. Enter the code in the description section when filling out an online free estimate form. What Would Raise The Cost of My Project? Possible contingencies which may add Labor Charges include but are not limited to: major demolition, digging in concrete, building on a slope, building above 8' tall (from the ground), porous earth, untame/unleashed pets, tree roots, falling branches, sprinkler systems, plumbing, gas lines, old fence posts, buried treasure, crazy neighbors, restricted access to the property, or restricted parking. We do everything we can to stay true to the final price enclosed on this bid, and most of the time we do; however, please note that there may be additional charges due to unpredictable circumstances. It should be included in the bid and 99% of the time it is. We will be in communication immediately for any of these possible circumstances. DIGGING: 90% of the time, these charges only apply to the digging. We do everything that we can to not charge extra, but the digging process is unpredictable. You never know what is under the ground. Essentially,there is only an increase of price depending on the difficulty of the situation and the amount of time spent. For many, building fences is a job, but to me, building fences and become an art. I grew up in New Mexico where my father was an artist and built custom furniture. At the early age of 12 I began to follow in his foot steps. My father taught me that building a piece was more than just the functionality of it, but to appreciate the process of building it. Like art, it took creativity, patience and a keen eye. He taught me that art is more than a canvas and paint. After moving to Los Angeles in the early 2000’s I realized that the fences I was building were more then just a structure to secure and provide privacy, they were pieces of art. This transformation of thinking changed my business forever and we haven’t looked back. 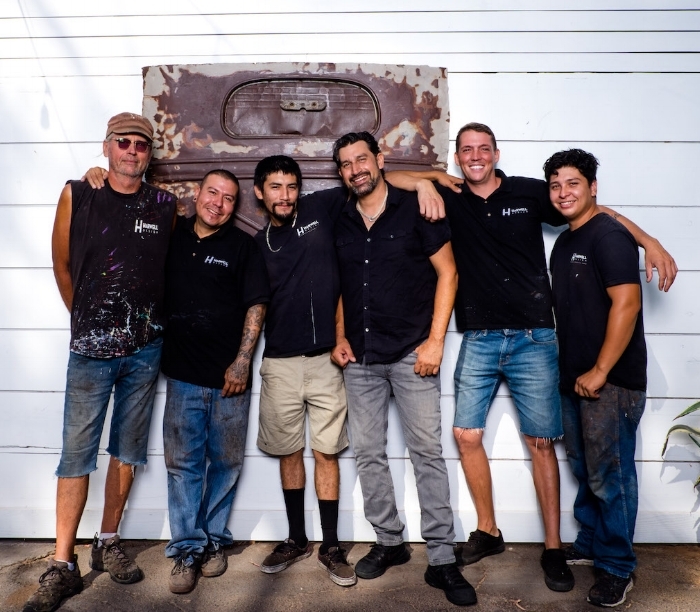 While faces have changed over time the one thing that has lasted is our commitment to having the highest standard of craftsmanship and passion for each and every project we do. Our team is a huge reason we have been as successful has we are and we are so grateful to be able to partner with such an amazing team and crew. Every project inspires us to be more creative. Check out some of the projects that we are particularly proud of. If you are interested in having us build you a custom fence or gate, send us and email at Info@harwelldesign.com. While fences remain the #1 item we build, coming in a close second are our very popular Driveway Gates. From Sliding to double and single swing, we help both home and business owners all over Los Angeles keep their property secure and protected. Some of our most frequent clients reside in beach areas and high profile properties. Venice Beach, Manhattan Beach, and Beverly Hills are some of those areas. In Manhattan and Venice Beach most of our clients need help keeping their gates from rusting from the constant sea breeze that eats away at their steel frames. This can cause a very frustrating experience while using your gate. High pitched screeches to sagging and even losing the ability to function properly all together. It’s important to have these frames maintained and in some cases replaced. In Beverly Hills, where some of our higher profile clients reside, the main concern is safety and privacy. We have always made sure to have high end lock options both functioning as well as cutting edge technology. We also make sure to give these clients the privacy they are looking for while complying with any and all height restrictions and codes. Driveway Gates in Beverly Hills, Manhattan Beach and Venice Beach all reflect a high end look and functionality. We are proud of the the design as well as the longevity our gates provide. If you are interested in getting a new driveway gate installed at your home or business give us a call today! (310) 601-6616.